Dylann Roof reportedly tried to kill himself during Charleston church shooting. 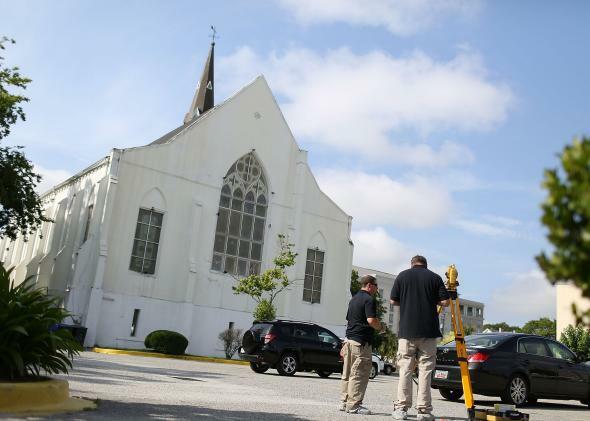 Law enforcement officials continue their investigation in the parking lot of the Emanuel African Methodist Episcopal Church after a mass shooting at the church killed nine people on June 19, 2015. Singleton says 69-year-old Polly Sheppard, one of two adult survivors of the massacre, told him the sequence of events. Roof reportedly told Sheppard he would not kill her so she could tell others about what happened, and he then turned the gun on himself. But the gun wouldn’t go off, and he left only to be arrested a day later in North Carolina. The 21-year-old Roof is now on suicide watch at a Charleston County detention facility, reports the Washington Post. Roof, who is accused of killing nine people at the Charleston church, is in solitary confinement and is being monitored by two detention officers.